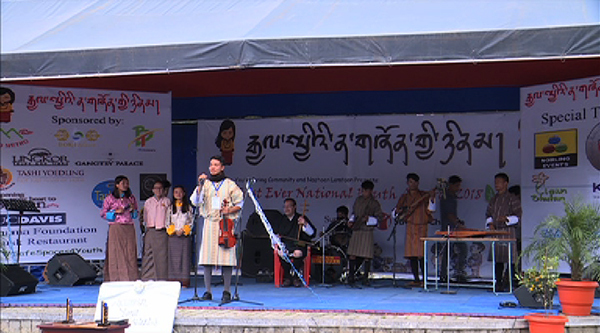 The International Youth Day celebrations in Thimphu ended with rewarding young volunteers and youth groups with awards in recognition of their volunteer works and community service. The awards were given away at the first such National Youth Awards organized by Youth Caring Community and Nazhoen Lamtoen. Kuenphen, Let’s Help!, a service group engaged in the whitewashing of chortens in the country, was awarded the Youth Community Award. “It’s an honour to receive an award at a national level,” Tandin Tshering of the Youth Community Group, said. Tashi Dawa, an ardent volunteer, who regularly devotes his time to community service, won the Youth Volunteer Award. “The winning itself is a responsibility, and a source of motivation and inspiration to work more in the future,” Tashi Dawa said. Dechen Wangdi, another youth, won the Living Our Values Award for exhibiting praiseworthy Bhutanese values. “The category seems a bit unique and somewhat quite not common for an award, but I am very much privileged and intend to continue doing the same,” Dechen Wangdi said. The United Nations declared 12 August as the International Youth Day in 2010. The day is aimed at bringing youth issues to the attention of the international community and celebrating the potential of young people as partners in today’s global society.